I purchased a copy of a 1993 edition of the Globe Magazine on Ebay almost two years ago.It was the September 16th edition of the magazine and it was almost completely devoted to the 1993 Michael Jackson Scandal of that time. It had a follow up story on a story run the week before about payoffs of other parents and children prior to August of 1993 when the accusations of Jordan Chandler first became public. This is a story that has been revisited on several occasions. It was Roger Friedman that wrote about the origins of the documents that were shown to him by someone named Paul Barresi. Paul Barresi sometimes worked as a private investigator and he was willed some audio tapes and other tapes by a writer for The Globe, Jim Miteager. The Letter that was shown in The Sunday People in June 2013 was this one. 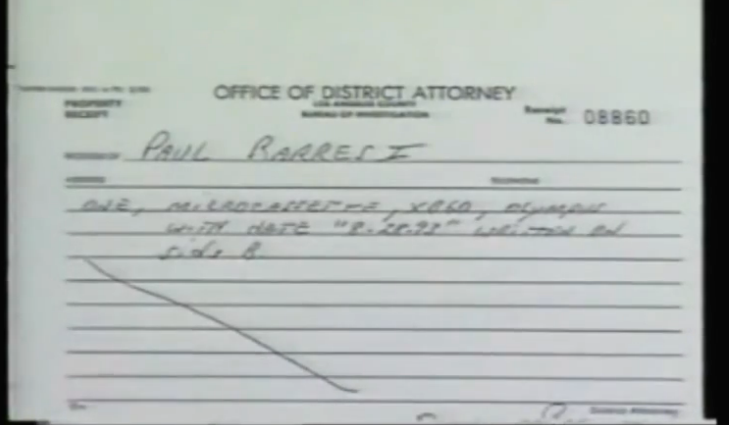 Roger Friedman wrote about these files that were shown to him by Paul Barresi on Fox in 2005 during the trial. From those stories you can fill in the blanks in the redacted versions on in The Sunday People story from June 2013. The letters below are of course talking about Blanca Francia. 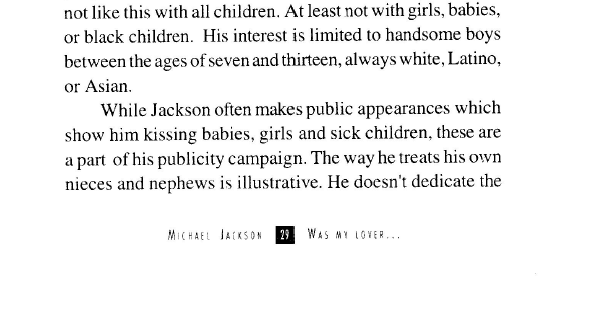 They don’t mention who the source is, but, there is one tell tale sign as to who it might be when they say that Blanca knew Michael molested kids because the only boys he never slept with were his nephews. Let me introduce someone named Victor Gutierrez.Gutierrez is the man that wrote the book Michael Jackson Was My Lover. That book is the only other place where these words are credited to Blanca Francia. There is a portion of the letter shown in this article on September 16th 1993. The story from the book Michael Jackson Was My Lover.It was told by Gutierrez supposedly repeated from what Blanca Francia. The wording in the portion of the letter shown is the same as the one shown in 1993. The story originally contained the names John Branka (yes this is the way the article spelled his name) and Bert Fields. Bert Fields sued the Globe and won and it was about this article. Here are the rest of the “documents” shown in the original story in The Sunday People. 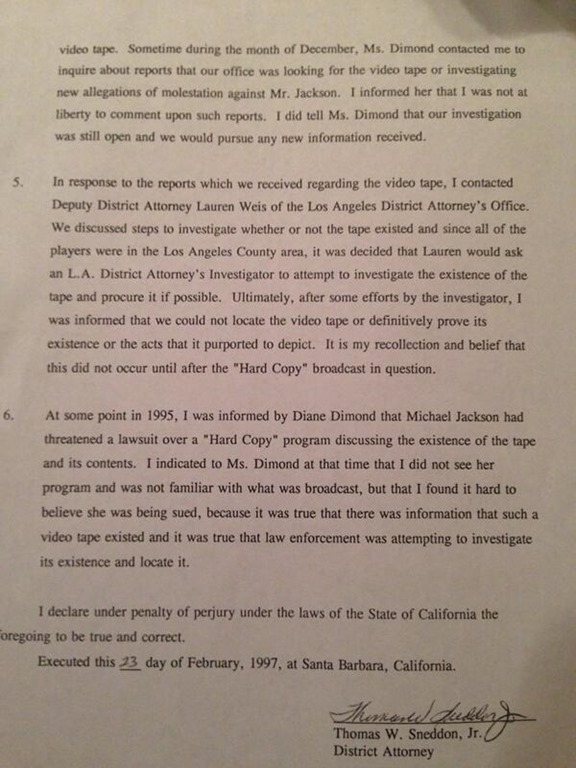 This is an unredacted version of the last document.It can be seen on MJ Truth Now in their Frontline video at 33:56.The article in The Mirror also says that they were hiding the identity of the source because of threats. If he was receiving threats from fans he shouldn’t come to their blogs. I also think that Gutierrez might have been behind all of the stories of boys.In spite of having several pictures of Michael with nieces and daughters of friends being very affectionate his eyes only see the boys? Gutierrez was successfully sued by Michael Jackson.Michael won an award of $ 2.7 million dollars in April of 1998.Michael sued him, ABC and Diane Dimond after Gutierrez appeared on Hard Copy saying that there was a tape of Michael Jackson molesting a boy. Michael sued hmi for slander. Contrary to what some people may think when a person is sued for slander they are sued for slander not a particular story is sued for slander. 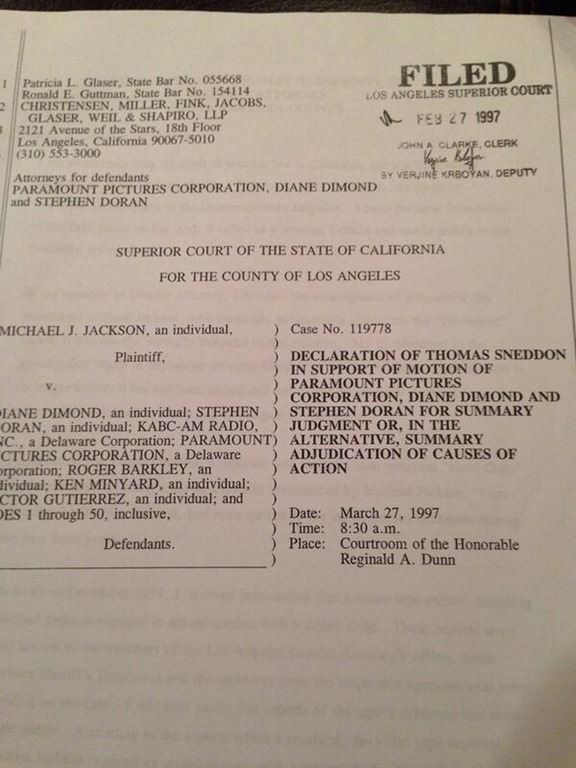 Diane Dimond was dropped from the lawsuit and Michael filed an appeal. The original court decision was upheld. 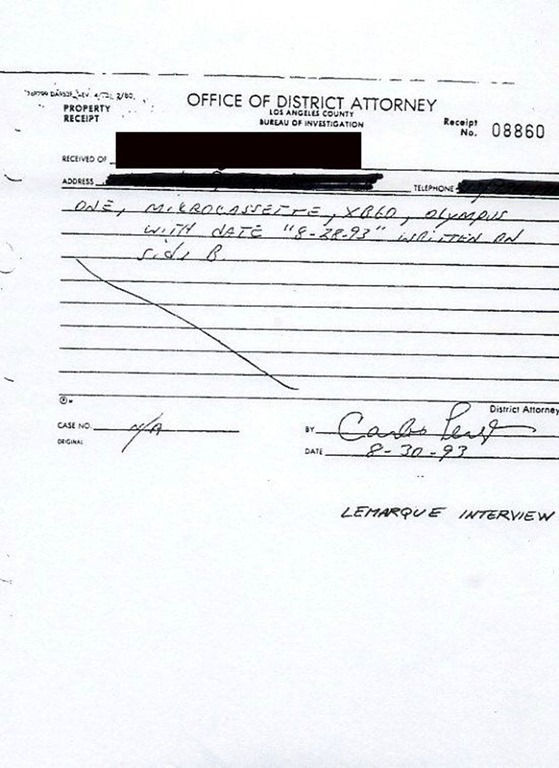 Tom Sneddon gave a declaration that said that they were looking for the tape prior to her reporting it. For more information on the association of Diane Dimond and Victor Gutierrez read this blog. “(Globe reporter) Mitteager, at least in the case of Jackson, relied heavily on a sketchy stringer named Taylea Shea. Her veracity consequently became integral to a lot of tabloid reporting at the time. Shea, who seems to have gone by a number of aliases and had a long list of addresses and phone numbers, could not be contacted for this story, despite many tries. Neighbors at the Los Angeles address at which she lived the longest do not remember her fondly. They recall a hustler and con woman who was always on the take. “She should be in jail, if she hasn’t been already,” one former friend and neighbor said. On one tape, Shea reads what sounds convincingly like a legal document drawn up between Jackson and a 12-year-old boy named Brandon P. Richmond, who is represented by his mother, Eva Richmond. 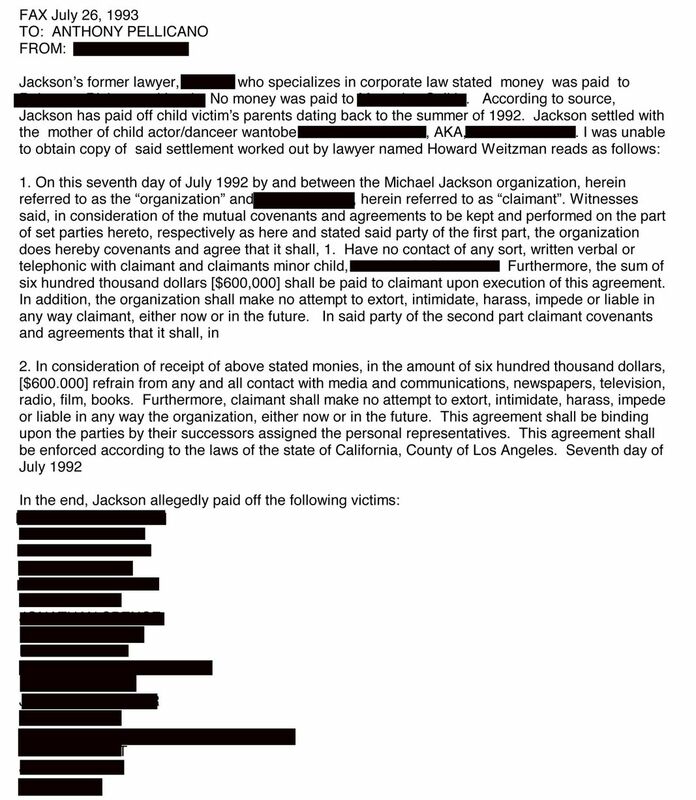 Brandon, according to the document, received $600,000 from Jackson. He and Jackson would no longer have any contact with each other. Shea read the document, which is dated July 1992, to Mitteager the following year. 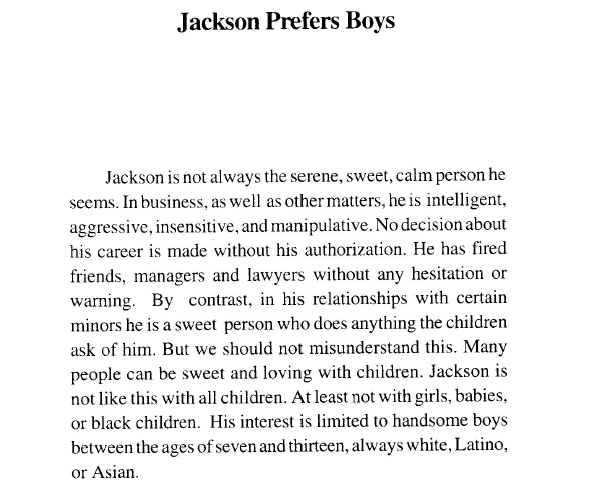 This would have been a blockbuster, if true, because it would make Brandon, not the differently-named boy who settled with Jackson in 1993, the first of Jackson’s accusers. Shea also says on the tape that the legal document came from the offices of famed Hollywood lawyer Bert Fields, Jackson’s attorney at the time. 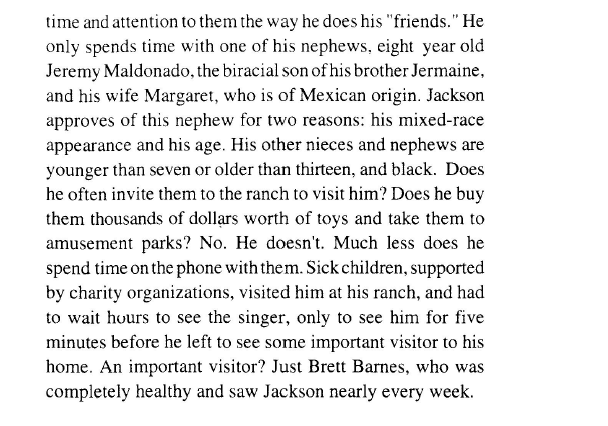 There has never been a Brandon P. Richmond in MJ’s life, it seems the boy, as well as the contract is made up and fictional. Some suggested it could be Brandon Adams from Moonwalker but he himself denied it to both Friedman in 2005 and to fans in 2013 when he was asked on Twitter. Also the text of this alleged agreement is far too sloppy and amateur to be an agreement drawn up by professional top lawyers. It’s obvious that this whole story was made up by this Sketchy Stinger, Taylea Shea. That’s the person from whom this whole “hush money” myth originates from that keeps getting rehashed over and over again by the media with no evidence whatsoever. Yes and Friedman says he attempted to find her but couldn’t.Some people remembered her but not fondly.I wonder who she is?